Dynamite decided to take a break from the normal procedure taken by her mother and grandmother and had her puppies in the evening a day ahead of schedule instead of keeping me up all night for several nights worrying and waiting, then having them some time in the morning. 3 boys (1 merle, 2 B&W) and 2 girls (1 merle and 1B&W). Sadly two pups,1 B&W boy and 1 B&W girl, were stillborn and failed to revive in spite of our best efforts. It was a sad loss, but thankfully all three of the others are thriving. 1 B&W boy, 1 merle boy and 1 merle girl. Click the 'Newborn' link above to see photos of them. If all goes well, puppies should be ready for their new homes by early July. 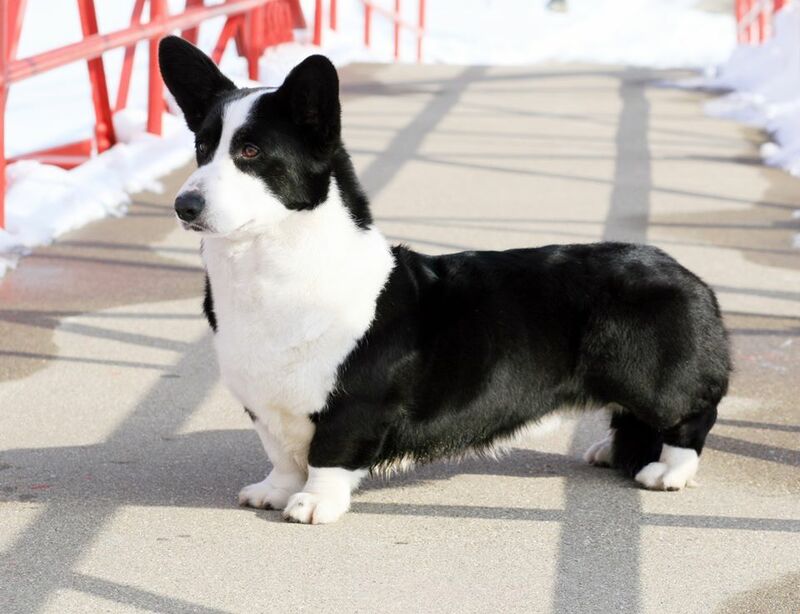 This will be our "F" litter, so the temporary baby names for the puppies will begin with the letter F and will probably have an explosive theme considering we put a Striker to Dynamite. All the puppies have gone to their new homes. 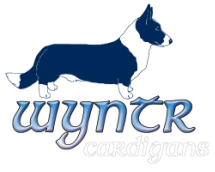 Flame has been renamed "Fletcher" and is now a part of the Wyntr family. Radiograph taken at 56 days. Count is unofficially at 4 or maybe 5 puppies. 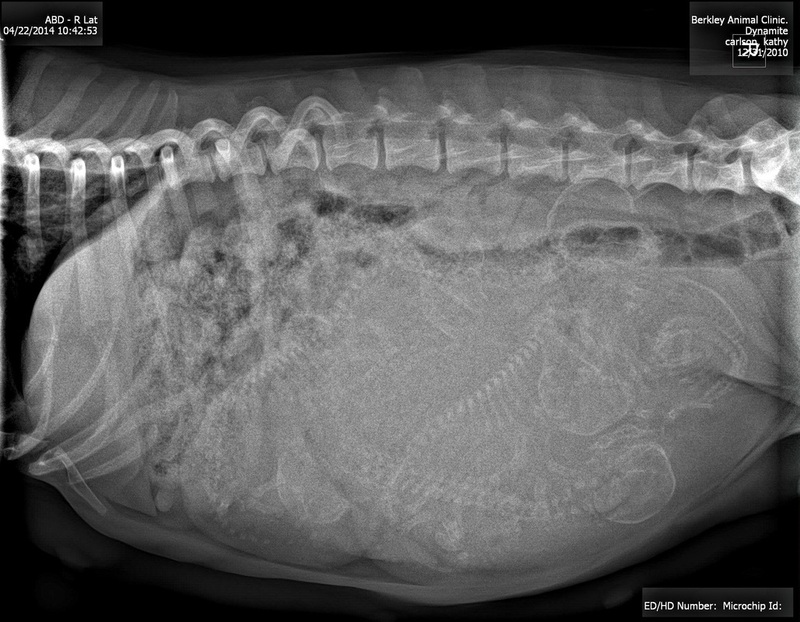 Radiograph (xray) done on April 22nd also shows 4 or maybe 5 pups. Dyna, April 16, 2014. 7+ weeks and counting. 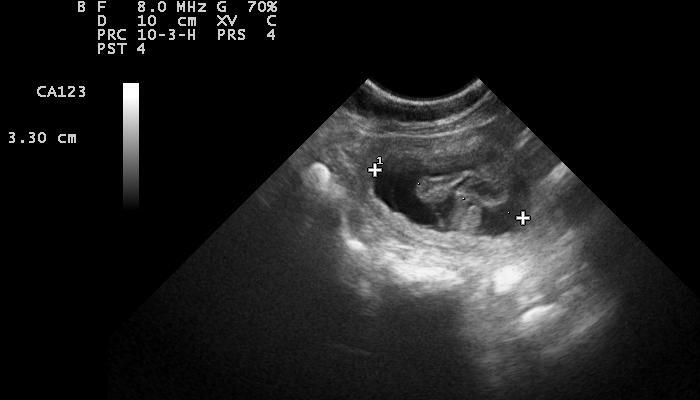 Ultrasound image of one of Dyna's developing pups. (the dark oval with the lighter areas inside). The two "+" symbols indicate the measurment size of 3.3 cm or slightly more than 1.25 inch. 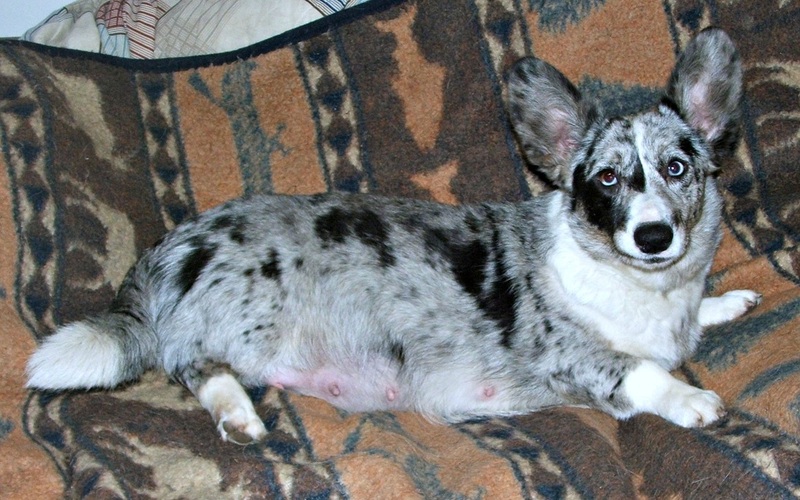 The ultrasound done on March 24th confirmed at least 4-5 puppies.